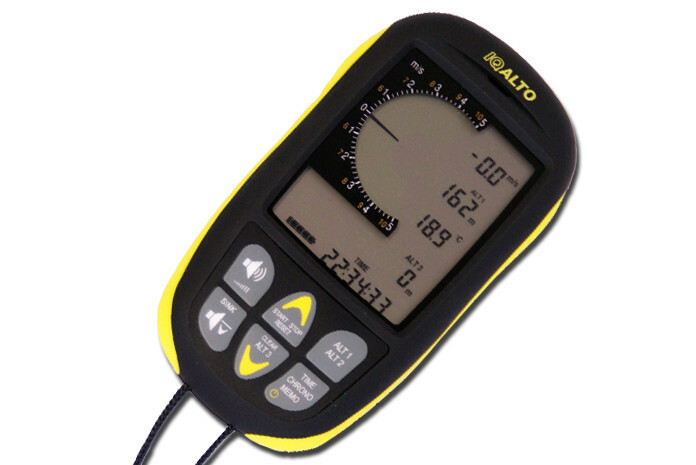 The Brauniger IQ-Alto is a combined altimeter and vario. The Brauniger IQ Alto is the ideal introduction to the next generation of Brauniger Intelligent Flight Instruments. The IQ Alto is the entry level alti-vario in the Brauniger range. Designed to perfectly meet the needs of paragliding and hang gliding pilots, from beginners to experienced pilots. The new IQ instruments are even easier to handle, and packed with functions for performance minded pilots. • Elegant design, Soft Grip surface ABS casing, small size with easily operated keys. • New, high precision Vario – Digital technology with variable response time and excellent filtering due to the new Smart – filter-Technology. • More than 250 operating hours with one alkaline battery set ( you can also use NiMh rechargeable batteries if you prefer). • Several years battery life in Stand-by mode with always on, visible display of current time. (Caution: beware of leaking batteries). • All functions are individually programmable via OPTION-MODE-key presses. • Fight Memory: IQ-ALTO all Max/Min Data stored for your last 40 flights.